At Kids Cove we believe that engaging in Art & Craft experiences benefits all aspects of children’s development. Children, who cannot express what they feel and think and how they view their world in worlds, may be able to do so more readily through art. Continues to develop fine motor skills. The purpose of art experiences is to allow children to explore on their own, using materials in their own ways. 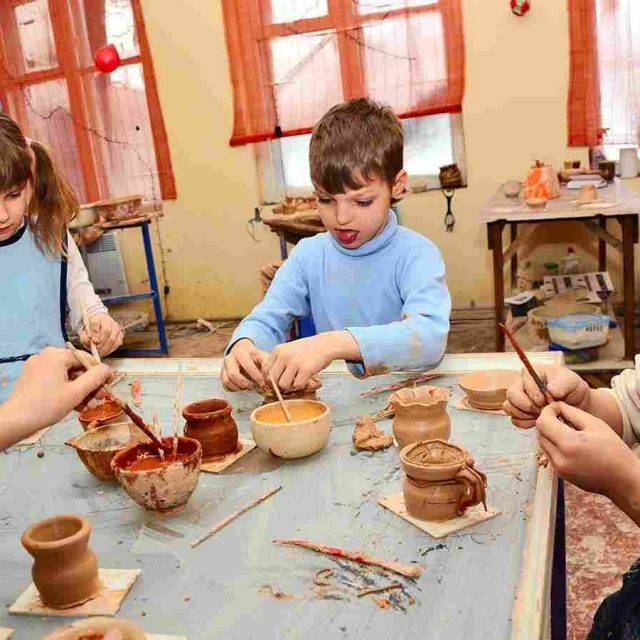 We aim to enable the children to learn that their own abilities are valued and children will begin to freely participate in the creation of art.